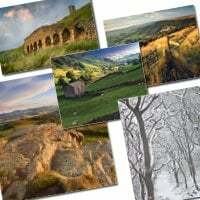 Our range of beautifully printed, gloss laminated greetings cards come in two sizes. Code G cards are A5 size measuring 206mm by 152mm. The cards are blank in the middle, making them suitable for all occasions. MULTIBUY DISCOUNTS ARE AVAILABLE FOR OUR A5 CARD DESIGNS.